Today is the day that our Lord promised His disciples before His Ascension. He told them in the book of the Acts of the Apostles, chapter 1, "Do not leave Jerusalem, but wait for the promise of the Father, which, He said, you heard from Me. For John indeed baptized in water, but you will be baptized with the Holy Spirit not many days after these. " After these words, as we confess in the creed, He ascended into heaven to be seated at the right hand of God Almighty Father, and from there He is to come to judge the living and the dead. So, today we end with the second article of the Creed, which deals with the second person of the Holy Trinity, the Son, and we begin with the third article, which deals with the Holy Spirit. We celebrate the day of Pentecost 10 days after the Ascension, which was 40 days after the Resurrection. 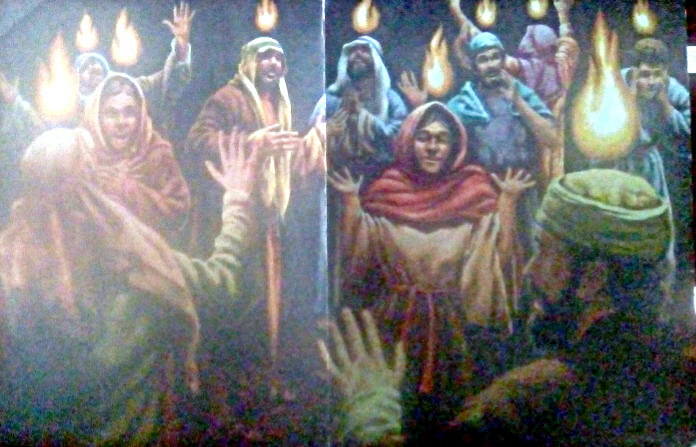 The feast of Pentecost already existed at that time. That is why there were men from all parts of the Roman Empire in Jerusalem. The word, Pentecost, derived from the Greek, means fifty. For the Jews, it meant 50 days, according to their tradition, after the day when God gave Moses the two tablets of the Law on Mount Sinai. It was also the feast of the first crops of spring, wheat and barley, so, people took their harvest sacrifices to the Temple of Jerusalem to thank God. For us, on this same day we celebrate the delivery of the Holy Spirit to the church to proclaim the Gospel, the good news of Jesus Christ. According to the book of Acts, when the disciples returned to Jerusalem, they first chose Matthias to replace Judas among the apostles. "All these persevered unanimously in prayer and petition, with the women, and with Mary the mother of Jesus, and with his brothers" (Acts 1:14). It is not entirely clear that the election of Matthias occurred on the same day of the arrival of the Holy Spirit. In much Christian art, the Virgin Mary is sown there among the apostles on the day of Pentecost. This is implied by the verse in chapter 2: "And when the day of Pentecost came, they were all with one accord in one place." At that moment, "Suddenly there came a sound from heaven as of a rushing mighty wind, which filled the whole house where they were sitting; and tongues appeared to them, spread out like fire, settling on each one of them. And they were all filled with the Holy Spirit, and began to speak in other tongues, as the Spirit gave them utterance. " There are several things in the Old Testament that foreshadowed this event. The tongues cloven like fire seem like the burning bush, from which God spoke to Moses, the bush that burned but was not consumed. Also with mighty winds God brought the plagues to Egypt and divided the waters of the Red Sea. However, St. Peter told them that everything that happened on that day of Pentecost specifically fulfilled Joel's prophecy (Joel 2: 28-32): "I will pour out my Spirit on all flesh, and your sons and your daughters will prophesy; your old ones will dream dreams, and your young people will see visions. And also on the servants and on the handmaids I will pour out my Spirit in those days. And I will show wonders in the heavens and in the earth, blood and fire and pillars of smoke. the sun will be turned into darkness, and the moon into blood, before the great and dreadful day of the Lord comes. And it will be that whoever invokes the name of Jehovah will be saved. " All gave testimony of the good news of Jesus Christ in tongues that they did not know. "Now there were dwelling in Jerusalem Jews, pious men, of all the nations under heaven. And when this was announced, the crowd gathered; and they were confused, because each one heard them speaking in their own language. And all were astonished and amazed, saying one to another: Look, are not all these who speak Galileans? How, then, do we hear each of us speak in our language in which we were born? " With this miracle and the others, the Holy Spirit showed his power. But what was the greatest miracle? When Peter preached the Word and three thousand people were baptized on the same day. In this way the Spirit has decided to work. In the beginning, the Holy Spirit, as God, participated in the creation of heaven and earth. The Holy Spirit begot Jesus in the womb of the Virgin Mary. In addition the Spirit spoke of the prophets. All the books of the Old and New Testaments were inspired by the Holy Spirit, so they are the Word of God. The Spirit gave them new doctrine to preach as the Word of God. To assure people that the new doctrine was the Word of God, God allowed signs and wonders as evidence. Today we have no need of new doctrine or new revelation, because we have everything we need to know for our salvation until the second coming of Christ in glory. In addition, the almighty Spirit is active in the preaching of this Word. Also, by the work of the Holy Spirit, the Word is being preached in almost all the languages ​​of the world and the Scriptures have been translated into almost all languages. This means that what happened on the day of Pentecost foreshadowed what has come to pass. It is a reversal of the confusion of tongues in our reading of the Old Testament (Genesis 11: 1-9). 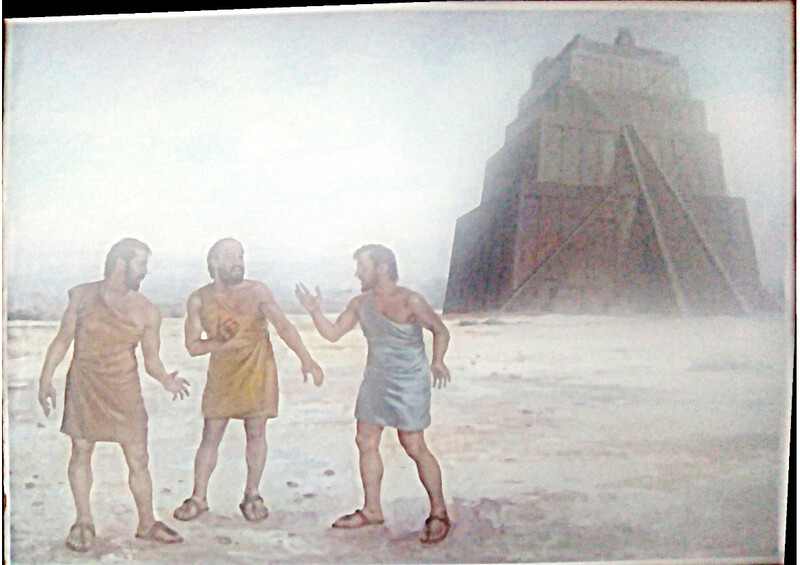 God punished the human race when he has only one language because they supposed to reach God by his own work, the tower of Babel. They worked together, as a body, but not for the glory of God, not in reverence of God, but in pride and arrogance. Therefore, the judgment of God in the confusion of languages ​​that resulted in divisions, conflicts and wars. Now, the people of God is one body, but we work together for the glory of God and the growth of His kingdom. Because since the day of Pentecost, the Holy Spirit, through the church, has called people of all tribes, tongues and races to the kingdom of God, as Saint John foresaw in the vision of Revelation. And all hear the Word in their own language. This same Spirit can help you in your testimony. Because the Holy Spirit who is active in public preaching can give you the words to talk to your neighbor about Jesus Christ. They were ordinary people who spoke in other languages ​​by the power of the Spirit. As the church, you have this power available. Let us work together in the mission of the Church, in her ministry of the Word and the sacraments. Because our purpose is to bring everyone to the water of baptism and the Lord's table before his coming in glory. In this work we have the peace that surpasses all understanding. Amen.